Jaylen Brown dropped a career-high 32 points on the Chicago Bulls en route to a C's victory, 111-104. 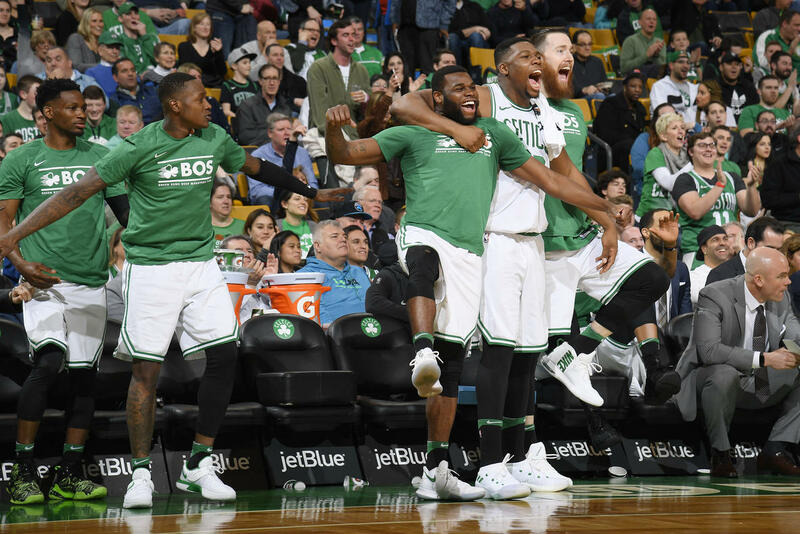 Brown's big effort wasn't the only thing that brought the Celtics a W. Greg Monroe notched himself a triple-double (19 points on 8 of 10 shooting, 11 rebounds and 10 assists) while unlikely hero Jabari Bird came out of nowhere with 15 points on 7 of 10 shooting in his first extended action with the big club. Both Jayson Tatum and Al Horford missed tonight's game, along with the long list of other inactive players for the C's. For the Bulls, big man Lauri Markkanen had a solid night with 20 points shooting 63.6% from the field and 5 rebounds and 4 assists. Sean Kilpatrick chipped in with 24 points off the bench but it wasn't enough. Marcus Morris got himself ejected in the 3rd quarter after a pair of double-technicals along with Bobby Portis, and the Celtics had another unlikely hero step up in his absence. New signee Jonathon Gibson, in his first action with the C's, knocked down three 3-pointers in the 4th quarter to help spark one last C's run to put away the Bulls.